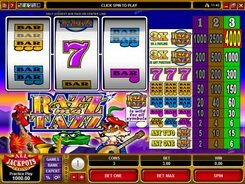 This is one of the most innovative video slots from Microgaming. 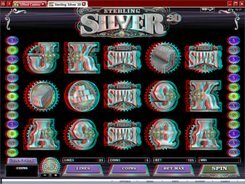 Technically, Sterling Silver 3D is a 5-reel 15-payline game, but the most amazing thing about the slot is that it provides a truly immersive 3D gaming experience. To play the slot you need some basic 3D glasses with red/blue lenses, but you can always switch to a more conventional 2D version during the gameplay if you have got enough of 3D action. 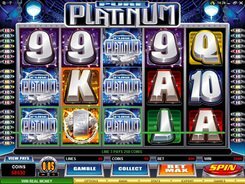 A total bet you can place per spin is adjusted from a penny to $31.25, and the top jackpot you can win reaches 1000 coins ($1250 if playing at max). 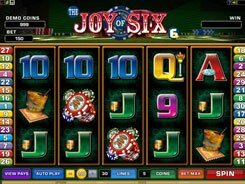 The slot features a wild, a scatter, free spins and an optional gamble feature. A wild symbol (the slot’s logo) substitutes for all non-feature icons and comes stacked on the middle reel. 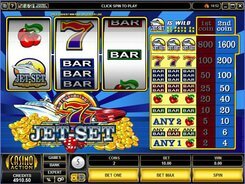 Besides, a wild increases normal payouts by a random multiplier of up to x10 when used as a replacement for other symbols. 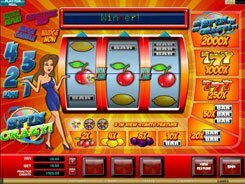 A free spins round is the most alluring and award-generating feature unlocked by three scatter Silver Coins. 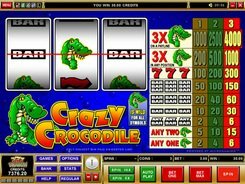 You win 15 retriggerable free games with all wins doubled.